Description: A bigger main building unlocks new buildings and your workers' speed will increase. Being able to build more quickly will however only pay out if you produce enough resources. Task: Upgrade your main building to level 3. 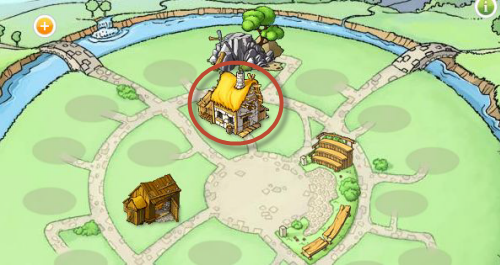 How to do this task: Go to your village and go inside your main building. Upgrade it to level 2, then, when possible, upgrade it to level 3. Text upon completion: Great, the bigger main building now allows you to construct some additional buildings that you've just unlocked.